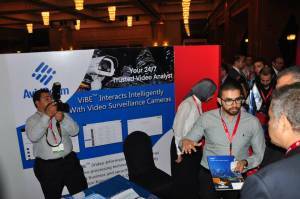 AvidBeam Technologies the leading provider of video innovative solutions for analyzing video Big-Data presents ViBE™ technology at the second industrial conference sponsored by ministry of Telecommunications and Information technology. Video Analytics is no longer science fiction at Mission Impossible and James Bond movies. It is now hitting mainstream markets and AvidBeam is pioneering multiple innovations in this space. ViBE™ is a business platform for video data analytics to serve enterprises, gated communities, commercial buildings, Retail Malls, warehouses, factories and other premises that need to be secured.